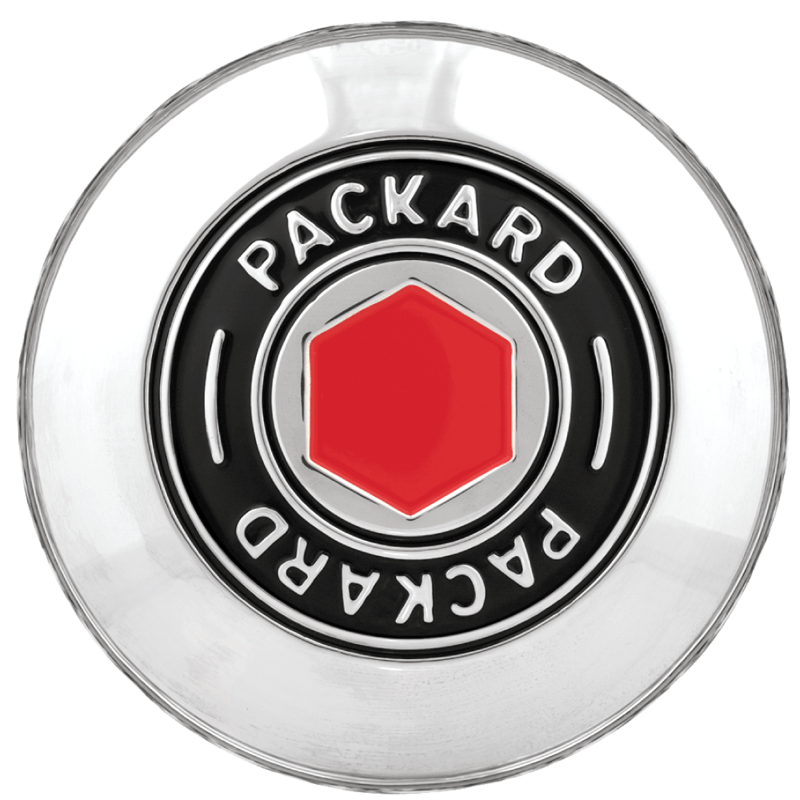 This is a Packard wire wheel center cap. 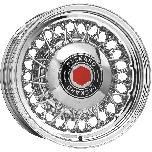 Complete an authentic set of our Packard wire wheels with these Packard hubcaps. These wire wheel hubcaps feature an authentic Packard script and logo design in red and black. Please check your actual wheels required cap fitment size. Whar is the size (diameter and thickess) of the cap - and is it available in ohter sizes? The back diameter of this cap is 6 1/2" and is not available in other sizes. will these caps fit Kelsey hayes 15 inch rims of early fifties vintage? These caps have a 6 1/2" back diameter. Confirm the back diameter requirements of those wheels to determine compatibility. Our Packard caps will fit our wire rims. However, they are not built to fit original equipment Packard rims.